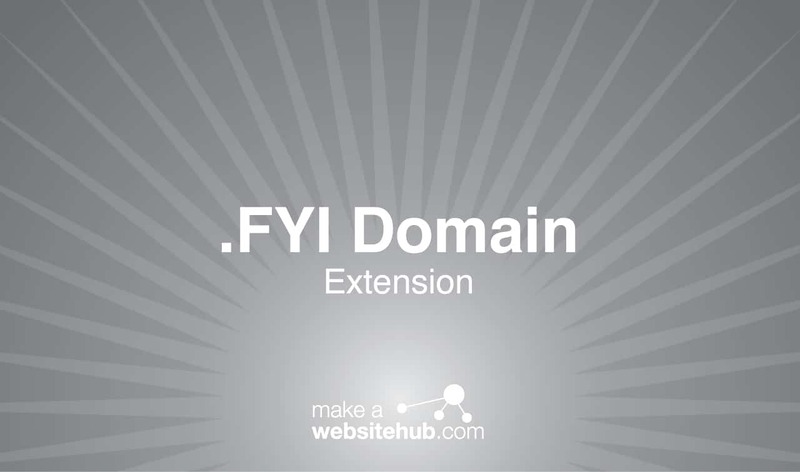 Provide valuable information to your audience and attract new visitors with the .fyi domain. FYI is an abbreviation for “For Your Information.” The phrase has been a part of modern vernacular for quite some time, even becoming a big part of pop culture. You can use the domain to connect with like-minded individuals seeking to broaden their minds and horizons. The .fyi domain was delegated by the Internet Corporation for Assigned Names and Numbers, also known as ICANN, in 2015. It was proposed as part of the organization’s new generic top-level domain program. The unique domain extension is meant to make it easier for Internet users to find content that’s relevant to their interests. For companies and individuals, the domain can be a useful tool to spread information and attract new visitors to a website. The FYI acronym is something that’s instantly recognizable, especially by younger generations. They understand what it means and know where the cultural references come from. It’s a quirky phrase that continues to be relevant even today. As a result, the domain extension naturally attracts attention. In an over-saturated market of boring .com websites, a .fyi extension is a breath of fresh air. Because it’s so distinct, web users are drawn to these domains. The acronym represents knowledge and facts. If your website is dedicated to providing in-depth information about a particular topic, the domain extension shows that you have a lot of facts to offer. You’ll find no shortage of ways to utilize the .fyi domain to meet your website’s needs. Organizations can create topical websites that look modern and fun. For example, say your company wants to provide web users with detailed facts about a certain product. A web address like ProductName.fyi is more than enough to turn a few heads. It’s simple and to the point. Non-profit organizations or schools can also use this tactic. A teacher could create an interactive website about the rainforest for students to study with and call the site Rainforest.fyi. Bloggers can also create fun URLs with the domain extension. If you have a penchant for telling people about little-known facts about everyday topics, your blog can be called RandomFacts.fyi. Even large corporations can get a little creative. Corporate information and historical facts about the company can be published on an easy-to-read website called CompanyName.fyi. As you can tell, there are plenty of ways you can use the extension to connect with your audience. Where Can You Buy a .fyi Domain Extension? There are numerous domain name registrars that offer the .fyi domain extension. It’s readily available from some of the most popular providers. Just like other generic top-level domains, the .fyi domain can be used by any company or individual. There are no major restrictions, aside from typical naming conventions that apply to all generic domains. Check out the following registrars to register your .fyi domain.